How many of you have wanted to have a clean home, a truly clean home without the need for harsh chemicals – and for less overall cost than if you purchased supplies at a store? It almost sounds too good to be true, doesn’t it? Several months ago we discovered Envirocloths. These are super, super dense microfiber cloths. They can be used both wet and dry. The fibers in the cloths attract contaminates. This means that as you wipe, it cleans for you! It takes a lot of the “scrub” out of cleaning! 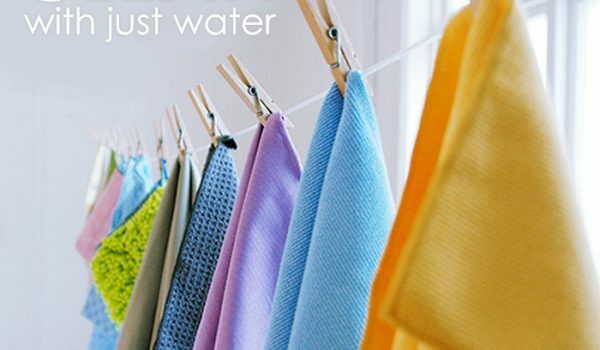 The cloths fibers are able to remove 99% of bacteria from surfaces when used correctly – all without chemicals, you just need the cloths and water! AND the cloths are laced with a silver-based agent added with the microfibers. Silver is a known antibacterial agent and as the cloths have this they are less likely to have mold, mildew and bacteria growing within the cloth. Why is it so important to decrease the chemicals in our home and on our surfaces? Read the warning label on the back of any of your current cleaners. What warnings does it say? Cleaners often leave a residue on surfaces that is imperceptible to the eye, but yet our skin absorbs them. Think about all of those nasty side-effects! Try this: Rub a piece of garlic on the bottom of your foot. What do you taste? Within a few seconds of you rubbing the garlic on your foot, it entered your bloodstream and affected the taste in your mouth. Your household cleaners, even though you can’t taste them, are doing the same thing. Yeah, I wanted to move to the chemical-free, and more frugal version of cleaning for my home too! 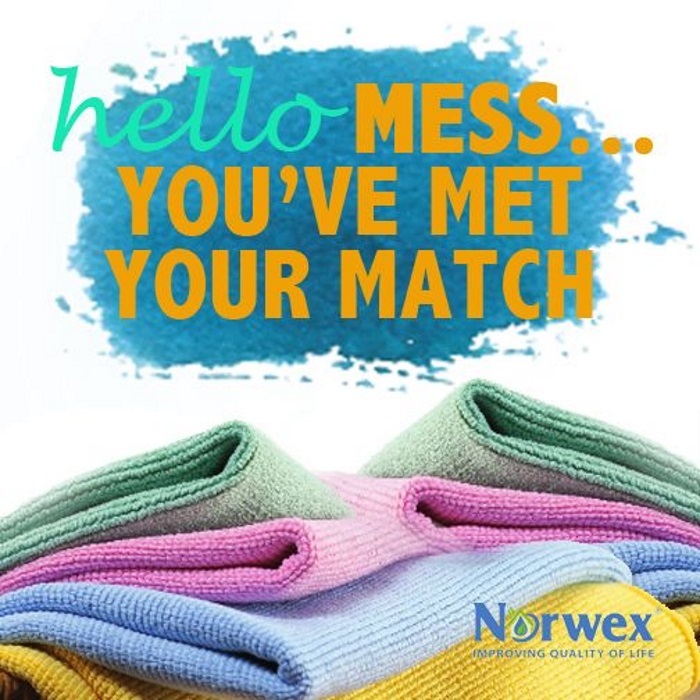 All Norwex products are guaranteed 100% – if for ANY reason you are unhappy with your purchase, just return it within 60 days and you will receive a refund (minus the shipping fees). What do you have to lose? The Envirocloth is $16.99 – it is by FAR my favorite product that they have! 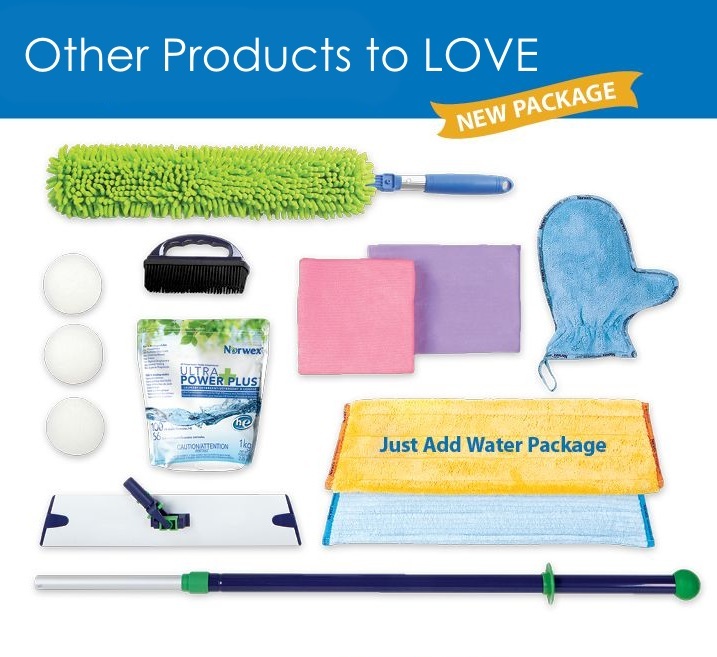 But they offer a whole cleaning line that will revolutionize the way you clean your home. 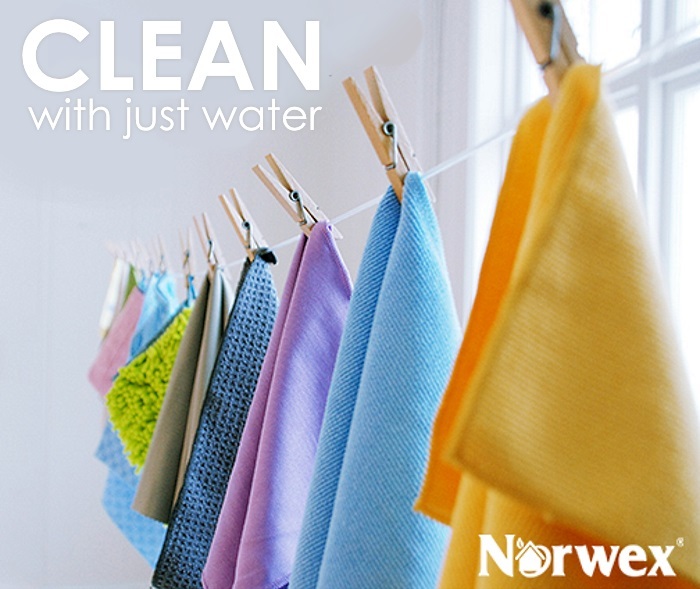 When one cloth can replace bottles and bottles of cleaners, moving to Norwex is a great savings too! We are independent distributors for Norwex (Levi Miller). When you purchase from us we will be available to answer cleaning questions and in our Private Product Facebook Group there are bunches of product giveaways. We make cleaning fun! AND A BONUS – just from us!